When your travel itinerary includes Phoenix, make sure to take in one of the seven natural wonders of the world, the Grand Canyon, through the several options available with the Grand Canyon tours from Phoenix. With the Grand Canyon South Rim just 225 miles north of Phoenix, you’re close to a multitude of tour options, including day trips, hiking, raft floats, Jeep tours, helicopter rides, airplane tours and rail excursions. The scenery is amazing and the possibilities are endless. The 277-mile long Grand Canyon exposes nearly two billion years of the geological history with a 6,000-foot cut—one mile equals 5,280 feet—into the Colorado Plateau. Visited by Roosevelt in 1903, the Grand Canyon Game Preserve was established in 1906, designated as a national monument in 1908, and then established as a National Park through the signature of President Woodrow Wilson in 1919. If you can squeeze just three hours out of your busy lifestyle, the Grand Canyon Air Tour is the fastest version of the Grand Canyon tours from Phoenix that is available to you. From the air, the geological scenery of this amazing feature takes your breath away. You’ll also take in the red rocks of Sedona, the volcanic San Francisco Peaks, the Tonto National Forest, which is the fifth largest in the U.S., and the enormousness of the Grand Canyon that spans up to 18 miles wide. This aerial tour includes just over 20 minutes of air time over the mile-deep fissure in the earth. After the breathtaking canyon experience, you enjoy a one-hour ride back to Phoenix. With a half-day tour, you can combine air and ground transportation for a more thorough investigation of the Grand Canyon. The camera gets filled with stunning photographs of the rock formations of Northern Arizona with this excursion. A 1,000-foot flight over the South Rim of this chasm in an airplane with extra-large windows results in perfect sightseeing conditions. Then, gain an historical perspective with bus tours to various vantage points and shopping opportunities. Eat lunch and enjoy another flight back to Phoenix. 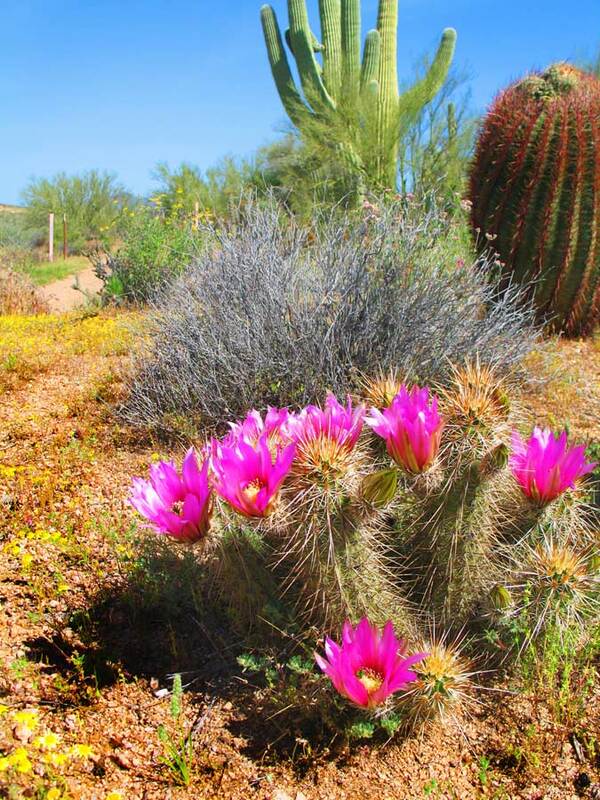 Grab a full day and take a serene ride through the enormous Sonoran Desert to the red sandstone features of Sonora. From there, your day tour takes you over Route 66 through the San Francisco Mountains for a noon a rrival at the Grand Canyon. After lunch, enjoy a 23-mile, two-hour tour of the Grand Canyon. Another exciting day-tour option involves a 75-minute flight from Phoenix to the Canyon West Airport. You’ll stroll over the Skywalk on the West Rim, where you can peer through glass to the depths of the huge ravine reaching a depth of 4,000 feet below. This option of Grand Canyon tours from Phoenix includes Native American performances featuring authentic Hualapai Indian culture. There’s a lunch, followed by an afternoon hike of the Grand Canyon. A helicopter gives you ride to the canyon floor, where you take a comfortable ride on a pontoon boat down the Colorado River to witness the towering sides carved out of the Colorado Plateau by that very same river. An alternative of the Grand Canyon Phoenix tours involves departing on a day tour with a leisurely ride through the Sonoran Desert to Sedona, followed by a drive to the Grand Canyon, where you get to walk along the rim. Then, a helicopter flight takes you over the Dragon Corridor, the widest gap in the canyon, to the North Rim. 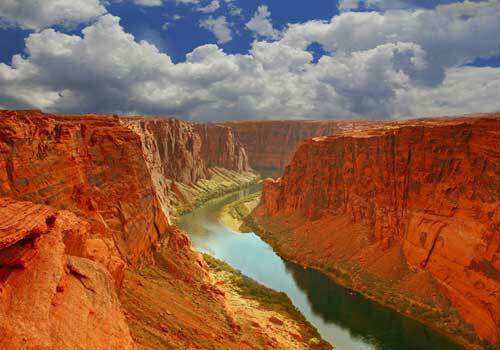 To get a full understanding of this natural wonder, multi-day versions of Grand Canyon tours from Phoenix are available. Take two days, with an overnight in Sedona, and enjoy one of the Grand Canyon tours from Phoenix that gives you a ticket on the historic Grand Canyon Railroad. A three-day, two-night excursion lets you take in the canyon with enough downtime for a truly enjoyable experience. The first day gets you to the Grand Canyon Village and a tour of the picturesque East Rim, with an overnight in Flagstaff. The second day features a calm float down the Colorado River allowing for an in-person day tour of the immense cliffs stretching a mile above your head. Night two is in Sedona. No set schedule is planned for the third day. Indulge yourself with the choice of five-day, four-night Grand Canyon tours from Phoenix that leave you with a lifetime of memories. One such Grand Canyon adventure includes a Grand Canyon National Park day tour, a whitewater rafting journey floating down the Colorado River, a Sedona Jeep Tour, a helicopter ride, four nights in a Sedona hotel, four breakfasts, two lunches and hotel pickups. For the ultimate in up close and personal, take on a five-day, four-night hiking tour that involves 30 spectacular miles of the Grand Canyon. This option of Grand Canyon tours from Phoenix starts with a flight from Phoenix to the North Rim Lodge for your first night’s lodging. Two nights are spent on the canyon’s floor at the Phantom Ranch, with views up the surrounding 4,000-foot walls. You’ll trek the North Kaibab and Bright Angel Trail. Day four gives you a traverse up the challenging Jacob’s Ladder to Grand Canyon South. Every breakfast, lunch and dinner is provided at no extra charge to you. If you like the great outdoors with a challenge, this outstanding adventure is just right. You make a mistake, if you’re in Phoenix, not to take in one of the seven natural wonders of the world just over 200 miles to the north. From a mere three hours to five full days and from flightseeing to hiking, you can pick what fits you and your itinerary with these Grand Canyon tours from Phoenix.